Previous Prev VLOG: Can You Get HIV From Sharing a Glass of Water? Our 3rd vlog post is about a new and dear friend to our relationship... condoms! Regarding our last vlog about sharing a glass of water. We had several people share that vlog on Facebook, and on one of those threads someone asked a friend of mine why he would share such information. She posted: “I do not know why you are posting this, my father is a Dr and he just read your post and he said anything can happened in 13 second. Kissing someone with HIV P is not safe... Sorry! 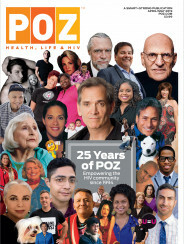 I do not want you to feel bad but I think it is my duty to let people know the truth about HIV.” What’s great is that someone else immediately posted a link to an article by the CDC that explains how rare it is for HIV to be transmitted through kissing. And I thought that video would be too basic.